Romeo & Juliet : a play in five acts by William Shakespeare is the next program in the Arts on Film series to be screened this Wednesday 23 May in Arts. This version of Shakespeare’s most famous and best-loved tragedies was filmed before a live audience at Shakespeare’s Globe Theatre in the heart of London in 2009. It features Ellie Kendrick (Juliet) and Adetomiwa Eun (Romeo) and an excellent cast in this timeless love story set against a background of rivalry and conflict. Direction is by Dominic Dromgoole. 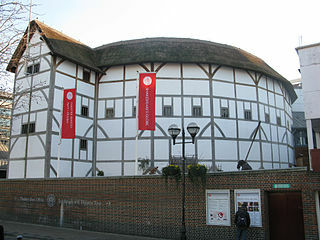 Globe Theatre, London, by Schailer. c2008. Courtesy Wikimedia Commons. 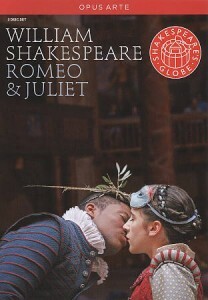 Romeo & Juliet commences at 12.00 noon and concludes at 2.50 pm (approx). It will be held in the Arts Listening-Viewing Room. Enter via the Arts Reading Room and Audio-visual Centre (from Trescowthick Information Centre). Admission is free. No bookings required, but come early as seating is limited. Enjoy! Indoor Panorama from the Shakespeare´s Globe in London, by Maschinenjunge. 2001. Courtesy Wikimedia Commons.